Each and every one of us has this desire to go to sleep at the end of a long day and wake up with fresh, glowing and youthful skin. The reality of the matter is that we just don’t know how what needs to be done or end up doing all the wrong things that leave us waking up to the opposite desired effect. We have compiled a list of some of the most important steps that we think will help you to waking up with great looking skin and will show you the way to setting yourself up for the best day ahead. This is a step that many underestimate the importance of and is often missed or skipped. Cleansing your skin at the end of the day allows you to effectively remove all product, makeup as well as dirt collected on the skin throughout the day. This can often put added stress on the skin which can lead to pre-mature aging. A cleanser should be soft and gentle, not containing abrasive scrubs/granules. If one does wear a lot of makeup a pre-cleansing oil can be used in the first step of cleansing to help dissolve and remove the makeup. Tip: Cleansing your skin is the last thing you feel like doing when it’s late and you are tired. Try and get this done earlier to avoid this step getting missed all together. We all find ourselves climbing into bed after a long day and assuming our usual position that we feel the most comfortable falling asleep in. Could it be possible that the way you sleep can contribute to your aging process? Yes it can. Sleeping on your stomach or on your side forces your skin to roll and fold into one another causing fine lines and creases to develop on the face and chest areas. Sleeping on your back avoids this whole process all together and by keeping your pillows raised slightly you promote lymphatic drainage, helping to reduce those puffy eyes when you wake up. Tip: Satin/Silk pillow cases allow your skin to move and glide over more easily thereby forming no creases and lines on the skin. Many people conduct their work activities out of an air conditioned office that we spend majority of the day inside. 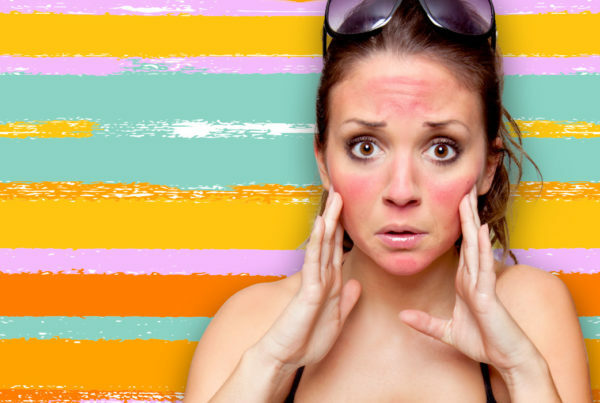 The air conditioned air has very harsh and drying effects on the skin, leaving it flaky and dull. By humidifying the air you sleep in you are adding extra moisture to the air you are allowing your skin to repair itself and hydrate while you rest. Tip: Essential oils such as Lavender can be used with most humidifiers to assist those suffering with insomnia, to ensure you get that much needed beauty sleep. When we sleep it’s the one time of the day where we can recoup and recover from the day. Although our minds are at rest our body is still functioning and repairing any damage caused from the day before. As our skin is one of the largest functioning organs, it stays awake, making it vital and important for us to feed it all the right ingredients to keep it healthy and active. Most products applied onto the skin at night usually don’t react well with sun exposure as they contain unique properties to promote the skin to renew itself with fresh cells and stimulate anti-aging mechanisms lying much deeper inside of the skin too. Tip: Products containing ingredients such as Vitamin A are the ideal way of keeping your skin active while you sleep. Facial masks have always formed part of any good home care skin routine and is the ideal way to boost your skins energy and hydration levels while you sleep. Most facial masks are made from a variety of ingredients such as Hyaluronic acid and vitamin C to plump out and give your skin that much desired sparkle when you rise. Facial masks are usually much thicker in consistency to your day moisturizers and need that extra bit of time to absorb into the skin. What better way to let it soak into the skin than while you are getting your 8hrs of beauty sleep. Tip: Adding in exfoliation in the form of an enzyme/scrub before masking allows your mask to penetrate better into the skin and can ideally be done twice a week. Skin icing is an old and ancient method known to be used by many Korean woman and several other cultures too. It is a natural method of anti-aging, done in the convenience of your own home. Tighten and shrink enlarged pores. Smooth the skin creating an even appearance. 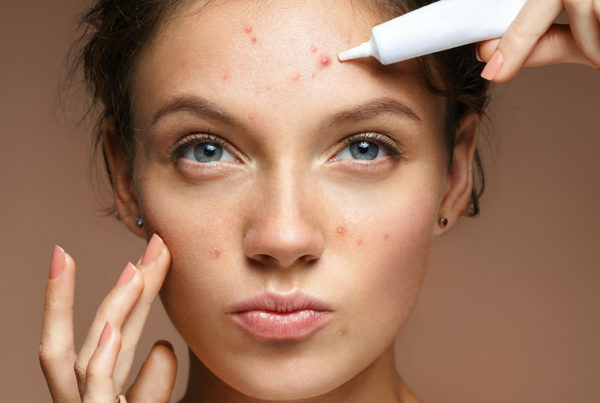 Reduce redness and swelling associated with acne breakouts. Reduce puffiness around the eye area. Skin icing is most effective as the cold temperature constricts the tiny blood vessels found just below the skins surface. This temporarily shuts off blood circulation to the skin and areas which are inflamed are then reduced, allowing the redness to settle. Once the ice is removed the tiny vessels expand, allowing for an increase of fresh blood to flood to the surface of the skin. Tip: Skin icing is performed morning/evening by either placing a block of ice directly onto the skin for 2-3 minutes or by placing your entire face into a bowl of ice water. Make sure to keep those fingers covered with a dish towel to avoid them from turning into ice blocks too. The skin is often a natural reflection of our internal health and hydration levels. Ensuring that you stay well hydrated during the day by drinking the necessary 6-8 glasses of water a day will help your body detox and rid itself of any toxic waste build up. Staying hydrated will help in reducing the added stress put onto the skin. Tip: Try adding fresh fruit to your water such as cucumber, strawberries or oranges to help naturally sweeten the flavour of your way to make for easier drinking. Sleep is a common occurrence that forms part of everyone’s day. Getting the right amount of solid sleeping hours in is extremely vital in keeping the body as well as the mind refreshed and rejuvenated for the day ahead. Sleep deprivation however can cause some nasty effects on the skin as it can increase your body’s natural stress hormones such as cortisol. The increase of cortisol can feed inflammation within the body. This often aggravates existing inflammatory skin conditions such as eczema and psoriasis and can contribute to the breakdown of collagen and Hyaluronic acid, leaving the skin looking dull and grey. The average adult requires a recommended amount of 6-9 hours per night. Tip: Try to avoid eating any large meals before your bedtime and keep all electronics out of the bedroom. Our lips are often the first to show signs of dehydration as they become dry and crack very easily. Lip glosses used throughout the day give the illusion of plumped and well hydrated lips but often end up doing the opposite by drying the lips out. Having dry lips develops bad habits like licking your lips, drying them out even further, causing them to crack and become inflamed. By applying a nourishing and hydrating lip mask before you go to sleep will leave you waking up to Beautiful pink, plumped lips. Tip: Use your toothbrush to gently exfoliate your lips to remove excess dead skin build up and stimulate fresh blood supply, giving you those perfect pink lips. Maintaining and following a healthy and well balanced eating plan is something we all try to get right. However we can’t completely avoid every delicious treat available, but as they say, everything in moderation. By eating high fat, high sugar and high carb foods this adds extra stress and inflammation to the body as it is being processed and the side effects are often shown directly on the skin in the form of puffy eyes, breakouts and skin aging. High intakes of sugar cause an effect in the skin referred to as glycation, whereby sugar molecules attach themselves to protein fibers such as collagen and causes them to snap like a raw noodle. The skin will therefore lose its support structure and thickness, causing deeper lines and wrinkles in the skin. Tip: Avoid eating large heavy carb rich meals before bedtime and try to eat smaller lighter meals to reduce the added stress on your body, helping you to get a goodnights sleep. Developing a routine for yourself is the best way of following the steps listed above. The moment you look good, you will start to feel good too. As we were only given one skin it is vitally important for us to look after it so that we get to wake up with great looking skin for many years to come.